Miles-earning ease and a long list of quality travel incentives make the Citi® / AAdvantage® Executive World Elite™ Mastercard® a great option for frequent American Airlines travelers (Citi is a CardRatings advertiser). With much to be said about this premium card, let’s jump right in and talk about all the great perks the Citi® / AAdvantage® Executive World Elite™ Mastercard® has to offer. Trip cancellation and interruption protection. Access to the Citi Price Rewind program. Your first checked bag is free on domestic itineraries. Wait for a delayed flight in comfort, thanks to complimentary access to Admiral's Club® lounges around the globe. Travel protection means you don't have to worry about unforeseen circumstances causing you to cancel a trip. Redeeming your points for flights does limit you to American Airlines and its partners. If you want more flexibility, you'll want to look elsewhere for a travel rewards card. There’s a lot on the Citi® / AAdvantage® Executive World Elite™ Mastercard® most notable features list, and for good reason. There’s much to love about this card and the incentives it has to offer, especially for those who often find themselves flying with American Airlines or traveling with one of its numerous partners. Let’s start with the bonus miles opportunity. With the Citi® / AAdvantage® Executive World Elite™ Mastercard®, if you spend $5,000 in purchases within the first three months of opening the card, you’ll land yourself 50,000 American Airlines AAdvantage® bonus miles right from the start. To put things into perspective, 50,000 miles are plenty for some roundtrip domestic AAnytime® tickets, depending on the distance of your flight, or for a roundtrip AAnytime® flight to the Caribbean, Central America or Mexico. On an ongoing basis, you’ll earn two AAdvantage® miles for every $1 spent on eligible American Airlines purchases and one AAdvantage® mile for every $1 spent on everything else. Or, if your plans are flexible, stretch your miles even more by taking advantage of MileSAAver flights – discounted routes that are occasionally available for as low as 7,500 miles each way. With ongoing miles-earning of two miles per $1 spent with American Airlines on eligible purchases and one mile per $1 for all your other purchases, you can see miles accumulate quickly with regular card use. Next, let’s talk about some of the perks you can enjoy once getting to the airport. In addition to dedicated check-in areas, expedited airport screening lanes and early boarding privileges, as a Citi® / AAdvantage® Executive World Elite™ Mastercard® cardholder, you can enjoy the fact that your first checked bag is free for you and one for up to eight other people in your group if booked on the same domestic itinerary, saving you big money per flight. Plus, when you become a card member, you receive a complimentary Admirals Club® membership which gains you, and up to two guests or your immediate family members, access to more than 50 airport lounges worldwide. With household membership prices averaging anywhere from $625 to $925 a year, this membership is a great incentive for those looking for a more comfortable way to travel and easily offsets the $450 annual fee you'll pay to carry the Citi® / AAdvantage® Executive World Elite™ Mastercard®. Let’s move on to the trip protection and travel insurance plans. We all know that certain unforeseen events can get in the way of your trip, but with trip cancellation and interruption protection, you can rest easy if plans go awry. Citi® / AAdvantage® Executive World Elite™ Mastercard® members who use their card to pay for their trip may be reimbursed for non-refundable trip expenses in these situations, a great benefit for those who get trip-planning anxiety. Plus, if your checked bag or carry-on luggage is lost, stolen or damaged, qualifying expenses will be covered thanks to the lost baggage protection plan. Similarly, international travelers will appreciate no foreign transaction fees, as well as more comfort and security abroad thanks to the included, worldwide travel insurance and worldwide car rental insurance plans. There to protect you if the worst happens while on your trip, these plans exist to help you travel with more peace of mind. Lastly, though not necessarily a travel perk, the Citi Price Reward program is definitely worth a mention. With the Citi Price Rewind program, there is no need to worry if you’ve found the best deal on your purchase. If a purchase made with your Citi® / AAdvantage® Executive World Elite™ Mastercard® is found online for less than you paid within 60 days of your original purchase date, you can receive a refund of the difference, up to $200 per item and $1,000 per year. While there is a lot to love about the Citi® / AAdvantage® Executive World Elite™ Mastercard®, there is one big downside: the $450 annual fee. Although there are a number of ways to compensate for this fee, it is still among the higher annual fees charged by a credit card. Because of this, if you aren’t sure that you’ll fly enough to take full advantage of the perks of this card, you might want to consider another travel rewards card that comes with a smaller fee. (We discuss a few comparison cards below). 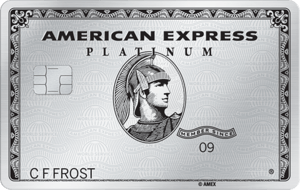 Furthermore, $5,000 might be a hard number for some users to reach within just three months, making this card a more appropriate choice for moderate to big spenders, especially since it’ll take spending $40,000 each year on the card to earn those bonus 10,000 EQMs. For a limited time, the Citi® / AAdvantage® Platinum Select® World Elite™ Mastercard® welcome bonus is 60,000 American Airlines AAdvantage® bonus miles after you spend $3,000 on your card in the first three months as compared to the 50,000 you can earn with the Citi® / AAdvantage® Executive World Elite™ Mastercard® but with a higher spending threshold. With an annual fee of $99, waived for first 12 months* and similar travel perks, it’s a viable option for those looking to gain some extra AAdvantage® miles without the $450 annual fee price tag. With the Citi® / AAdvantage® Platinum Select® World Elite™ Mastercard® earn 2 AAdvantage® miles for every $1 spent at gas stations, restaurants and on eligible American Airlines purchases. * Plus, you'll enjoy your first checked bag free on domestic itineraries for you and up to four people traveling with you and earn a $125 American Airlines Flight Discount after you spend $20,000 or more in purchases during your card membership year and renew your card. What you won't get is access to the Admirals Club®. 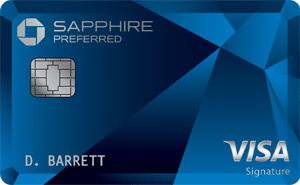 If you still want to gain a lot of rewards without that hefty $450 fee, but also want more flexibility in your airline choices, the Chase Sapphire Preferred® Card is a worthy and comparable card to consider. With a 60,000-point welcome bonus after spending $4,000 in the first three months (worth up to $750 when redeemed through Chase Ultimate Rewards®), a low annual fee of $95, two points for travel and dining purchases, one point per $1 on everything else, and many of the same travel protection benefits you’d receive with the Citi® / AAdvantage® Executive World Elite™ Mastercard®, the Chase Sapphire Preferred® Card is a practical credit card option, especially for those who don’t want to be limited to traveling with American Airlines or its partners. The Chase Sapphire Preferred® Card gains you the freedom to fly with one of Chase’s many airline partners (United Airlines, British Airways and Southwest Airlines, to name a few). And with the opportunity to earn two points per $1 spent at restaurants and on travel, you stand to earn rewards a bit more quickly with this card. Is a comparison between the Citi® / AAdvantage® Executive World Elite™ Mastercard® and the Chase Sapphire Preferred® Card apples-to-apples? Each card will show a number of obvious benefits, it’s up to you to decide which perks make the most sense for your unique lifestyle, and whether you’ll spend enough or use enough of the perks with the American Airlines-specific card to offset that sizeable annual fee. The Capital One® Venture® Rewards Credit Card is another travel rewards card that offers plenty of flexibility without the hefty annual fee to worry about offsetting each year – it's just $0 intro for first year; $95 after that. With the Capital One® Venture® Rewards Credit Card, you'll earn two miles per $1 spent on every purchase, every day, so there aren't any categories to keep up with; it also means your everyday errands and purchases can do some heavy lifting when it comes to earning you miles toward your next travel purchase. The welcome bonus of 50,000 miles after spending $3,000 within the first three months is equal to $500 in travel, so you can quickly realize the benefits of this card. And there are no blackout dates or travel restrictions when it comes time to redeem your rewards. You won't enjoy some of the travel perks – free checked bags or lounge access, for instance – that the Citi® / AAdvantage® Executive World Elite™ Mastercard® offers, but you also won't have to worry about offsetting a $450 annual fee. Because of the high level of spending required to receive bonuses, and because of the steep $450 annual fee, Citi® / AAdvantage® Executive World Elite™ Mastercard® makes the most sense for big spenders who value convenience and comfort while traveling, and who are loyal to the American Airlines and its partners.